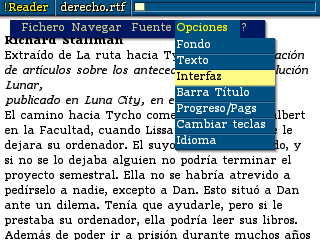 A text reader for your WIZ that does support TXT, RTF, PDB (palm), HTML and PDF. A great program, but there seems to be a problem with the number of files it can handle. I put 2600 e-books on my SDHC card, and Reader2x froze up after scanning 40-50 files. Worked fine after greatly reducing the number of e-books on the SDHC card. I've noticed the program seems to freeze whenever I try to open a pdf larger than a page or two. Wiz will become a excelent eBook reader if Reader2x could read mobipocket files.